A major battle over the future of New York’s energy policy is being fought at Indian Point, 75 miles south of Albany. The battle is not just about energy, but public health. Indian Point is the site of two large nuclear reactors operating since the mid-1970s. Because Indian Point’s federal licenses will expire in several years, Entergy Nuclear of Jackson, Miss., which owns the reactors, has asked federal regulators to extend them for another 20 years. The proposal has drawn fire from New York Attorney General Andrew Cuomo, and from environmental groups. A total of 10 organizations have filed legal papers opposing the 20-year extension. If they are successful, Indian Point will close permanently. But if they do not succeed, Indian Point will continue to operate for a long time. And there will be serious threats to public health. The most ominous threat is that of a meltdown. Indian Point stores nuclear waste in deep pools of constantly cooled water, equal to hundreds of Hiroshima bombs. Loss of cooling water, from sabotage or accident, would heat this waste to dangerous levels, causing a release into the environment. In an area where 21 million people live within 50 miles of the plant, safe evacuation would be impossible, and many thousands would suffer from acute radiation poisoning or cancer. Aging and corroding reactor parts make the chances of another Chernobyl more possible. A recent report found five near miss meltdowns from mechanical problems at Indian Point from 1999-2004 ? the fourth most of any U.S. nuclear plant. And a terrorist act against a nuclear plant remains a constant threat. On 9/11, one of the hijacked planes flew directly over Indian Point on its way to the World Trade Center. But a meltdown may not be needed for Indian Point to harm the people who live near it. Like all reactors, they must routinely release some of the radioactive and cancer-causing chemicals they generate into local air and water. There are more than 100 such chemicals, including Strontium-90, Iodine-131, and Cesium-137 — the same as in fallout after atomic bomb tests years ago. The three New York counties with the highest rates of thyroid cancer — Rockland, Putnam and Orange — all are situated within 20 miles of Indian Point. Particles of radioactive iodine, created only in bomb tests and reactors, attack the thyroid gland, leading to cancer. Scientists have found a high risk of thyroid cancer after exposure to the Hiroshima/Nagasaki bombs, Chernobyl accident and Nevada atomic bomb tests. There are no other known causes of thyroid cancer. Any decision on the future of Indian Point should be based not just on energy needs and costs, but on public health interests. Decades after being introduced, nuclear power still poses health risks. 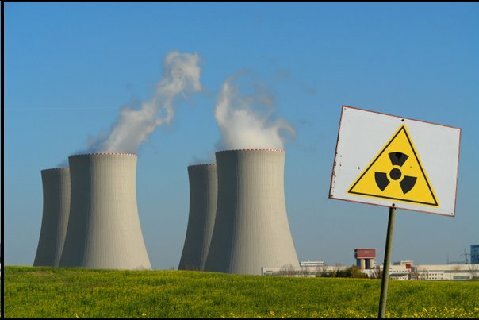 Future risks are even greater, since reactors are aging and huge amounts of waste are building up. A sound energy policy should focus on safe sources, such as wind and solar power. Federal regulators should not allow a threat to the health of millions to operate for 20 more years. Joseph J. Mangano is executive director of the Radiation and Public Health Project, a research and education organization based in New York.